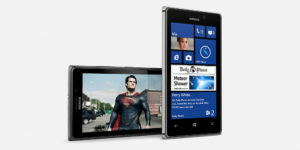 Nokia Lumia 925 and its ‘Man of Steel’ Limited Edition releasing soon. Nokia has already made an announcement for the Lumia 925 in London on 14th May, 2013 on a special press release event. Nokia said Lumia 925 will be available first in China then UK, Germany, Italy, Spain will be in the first phase of the release of this Windows Phone 8. Nokia has got another surprise for the consumers of their Lumia 925, they are releasing ‘Man of Steel’ limited edition of Lumia 925 with a Superman logo on the back wpdang.com has unveiled. If you even can’t get this phone but want to have the Superman logo there is a good news. Nokia is also going to release exclusive wireless charging backplate for the phone. Nokia Lumia 925 limited ‘Man of Steel’ edition will release in China on 15th June with the price of 3,999 CNY and equivalent of 653 USD. The specs of this phone is really nice, Nokia is trying to get up with the other companies with their Lumia series Windows phones. But the specs of this Nokia Lumia 925 is better with any other Lumia devices. Display: 4.5″ (inch) AMOLED multi-touch display with PureMotion HD+ and ClearBlack display and protected by Corning Gorilla Glass 2. This Nokia Lumia 925 and Nokia Lumia 925 – ‘Man of Steel’ limited edition Windows 8 phone has got amazing music playback time of 55 hours. The camera is very sharp and takes brilliant images, great for shooting nice quality pictures. Nokia also has released an app called ‘Man of Steel’ with the exclusive pictures and ringtones and more from the movie. To use the ‘Man of Steel’ app download it from Windows Phone website. How to Claim Komodo (KMD) Reward from Ledger Nano S?